What is the first thought you have when you look up into the night sky? Do you notice the difference between stars and planets? Or do you stare into space and wonder about all the possibilities? The people at NASA have all the same questions as you and I, and are on the mission of a lifetime to get answers. The research carried out by NASA has given us a better understanding of the world we live in and our unique place within our solar system. It has allowed us to open up our minds to new possibilities and encouraged us to push the boundaries into undiscovered frontiers. We have come a long way from watching Apollo 11, the first Moon landing in black and white in 1969. We’ve taken a journey and have landed in a privileged place where we get to see vibrant images of Saturn’s rings, Jupiter’s Great Red Spot and sunsets on Mars with just a click. And now, NASA has found a new way to bring ‘space’ a little closer to home. 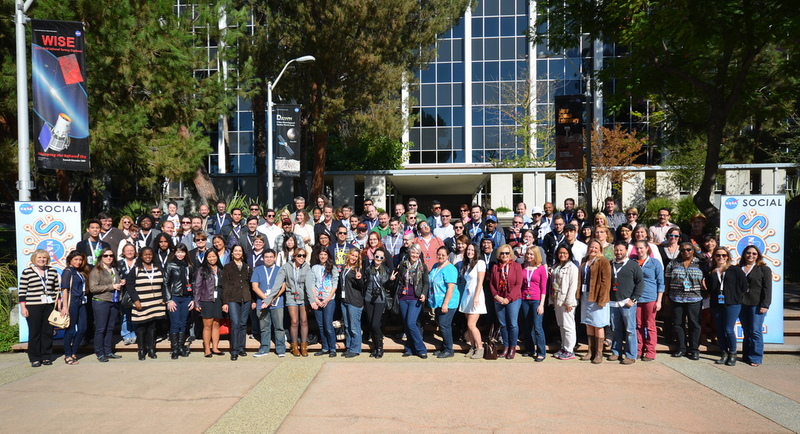 The birth of NASA Social, formerly known as NASA Tweetups, was four years ago in the hands of NASA’s social media manager Veronica McGregor when she helped NASA host their first event at one of their field centers, the Jet Propulsion Laboratory (JPL). These social events are created to allow space enthusiasts from around the world to get a behind-the-scenes peek at NASA facilities, missions and programs. 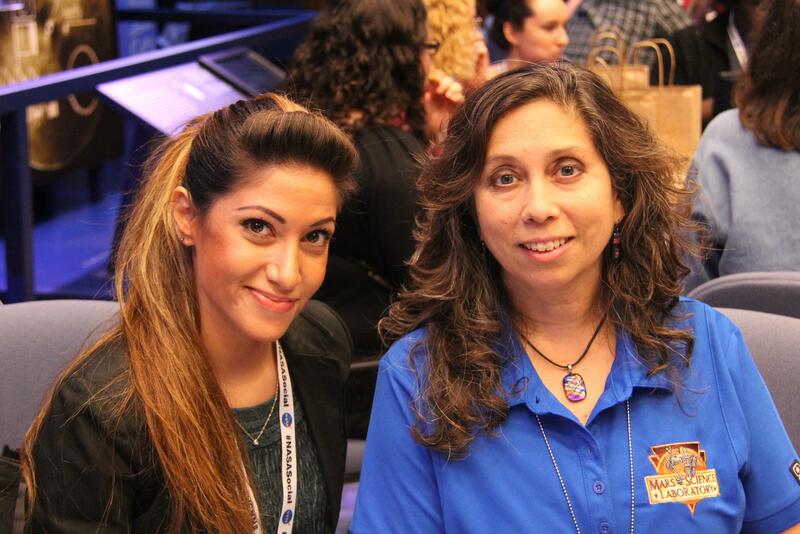 The purpose of these meet ups is to bring together social media participants to learn and share information through experience while getting a chance to explore and discover NASA first hand. On September 25th I received a confirmation email to my very first NASA Social. I was invited to attend the ‘Year of Earth’ at the Jet Propulsion Laboratory in Pasadena. Not long after California became my mission. As an Astrophysics student at York University in Toronto, Ontario, I could not contain my excitement. November arrived, and I found myself at one of NASA’s field centers wearing a badge with my name on it. During the two day event, I had the opportunity to hear about exciting new missions from the scientists and engineers behind each project. We got a sneak peek of the clean room where two of the current missions were under construction. The Spacecraft Assembly Facility is also where NASA’s Voyager and Cassini spacecraft and the Curiosity, Opportunity and Spirit Mars rovers were built. Over in the Mission Control Center of NASA’s Deep Space Network, where engineers communicate with spacecrafts throughout the solar system and with Voyager 1 in interstellar space, I came across an interesting landmark. 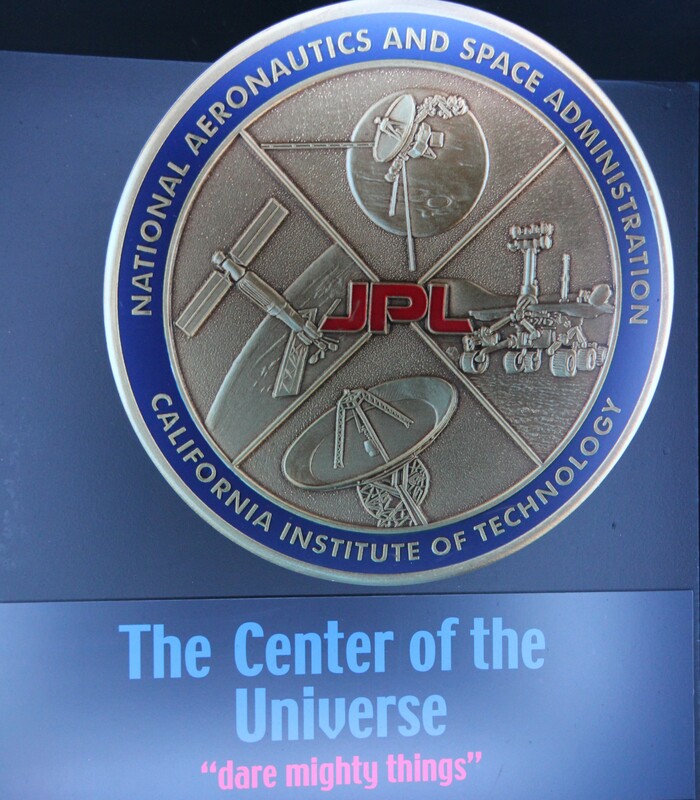 In the center of the room lied a plaque that claimed it is “The Center of the Universe” under a small glass floor. The very well suited title marks the location of where the flight director stands to coordinate the team, who send out commands to spaceships and orbiters. 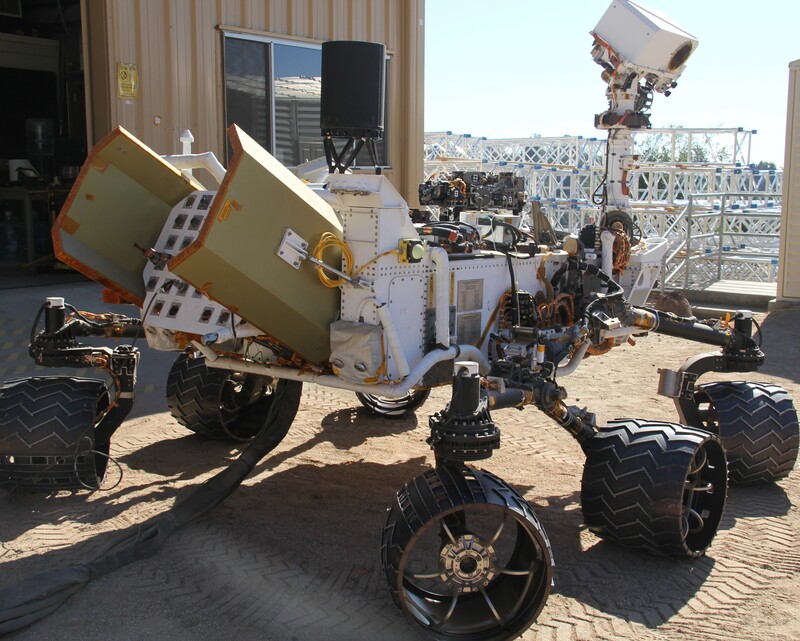 And finally, while visiting the JPL Mars Yard we meet Maggie; Curiosity’s twin sister. The Mars Yard is a re-creation of the surface of Mars where scientists and engineers test models of the rover in a Mars-like environment. As I took images of my cute Michael Kors shoes against the martian soil, in an attempt to create foot prints on Mars, I noticed a unique pattern on the tracks. The large holes in Curiosity’s wheels spell out “JPL” in Morse code using a series of dots and dashes, leaving an imprint on the red planet every time the rover’s wheels turn. 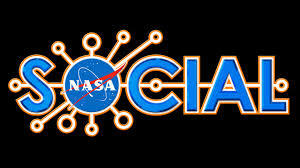 The main idea behind this Social was to bring to light NASA and JPL’s roles in studying Earth and its climate. As an astrophysics student I am very familiar with artificial satellites that point away from our planet, but I was pleasantly surprised to find that one third of JPL missions are sent out to study Earth from space. The Jet Propulsion Laboratory is set to launch five new missions in 2014 to help better understand climate change. These missions will focus on producing global maps of soil moisture, measuring ocean surface wind speeds and direction, height of the ocean surfaces, water vapour, and studying atmospheric carbon dioxide. We live in a vast universe, but there is only one pale blue dot we can call home. NASA has made it their mission to understand our home planet and the global change it is going through. In addition to studying Earth, NASA is also interested in one of Jupiter’s four Galilean moons; Europa. This moon is believed to have deep oceans, but due to its large distance from the Sun, Europa’s surface is completely frozen. What lies beneath the ice is still a mystery, but scientists believe that there may be a liquid ocean that can contain simple organisms. If this is proven to be true, it will confirm the importance of liquid oceans in the survival of life. We had the opportunity to speak with engineers in Alaska who have already started testing a rover for a future mission to Europa (Video). To say the least, this NASA visit made it undeniably evident that we are living through extraordinary developments in science and technology! While I was in Pasadena I had the pleasure of meeting one of York University’s very own M. Sc and Ph.D. Graduates, Dr. Panagiotis Vergados. Dr. Vergados is one of five to receive the 2013 JPL Outstanding Postdoctoral Research Award for his work on ‘Inside Tropical Cyclones with GPS’. After his fellowship at JPL, Dr. Vergados plans to pursue an academic career, where he can influence and mentor students about the next generation of scientific advancement. As a York student I couldn’t help but feel a little proud. From the driven scientists and engineers at the Jet Propulsion Laboratory to the social participants and their incredible stories, inspiration was palpable throughout this journey. 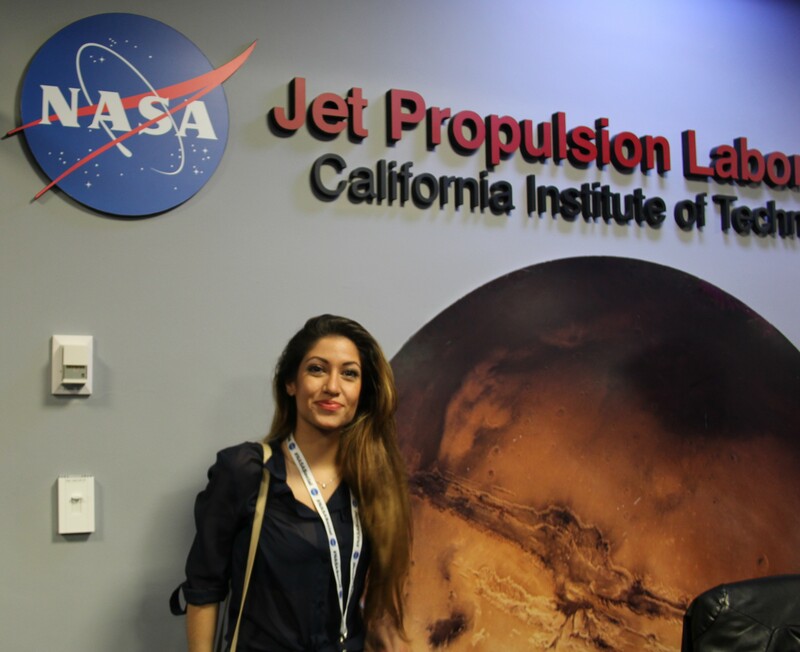 As a science student who is very involved in different forms of social media and public outreach through the York University Observatory, I have the privilege of sharing my experience and all the amazing opportunities that I came across at JPL. I had the pleasure of meeting many wonderful people and exchanged countless creative outreach ideas that will inevitably benefit my journey moving forward; I hope by sharing this it will do the same for all space and science enthusiast alike. The NASA Social alumni have officially become a part of my personal space voyage. So the next time you look up into the night sky, notice that the stars twinkle and the planets don’t, but more importantly remember that the sky is not the limit.